I've said before that the great George A. Romero is like the George Lucas of horror, becoming famous and beloved for a trilogy of hugely influential, genre-shaping films and then returning to do a second trilogy too many years later that diminishes his legacy. And while Romero will always best be known for his Dead movies -- they did, after all, launch the entire modern zombie movement that's now disgustingly played out -- several of his non-zombie films are just as good or better than the subgenre for which he's recognized. I love George Romero. I love a lot of his movies, but I also love him just for existing. He's a guy who makes movies with passion and who is always trying to say something, even in later years when his messages became heavy-handed and muddled by bad storytelling. He's a filmmaker whose every movie is worth seeing simply because he made it. 1. 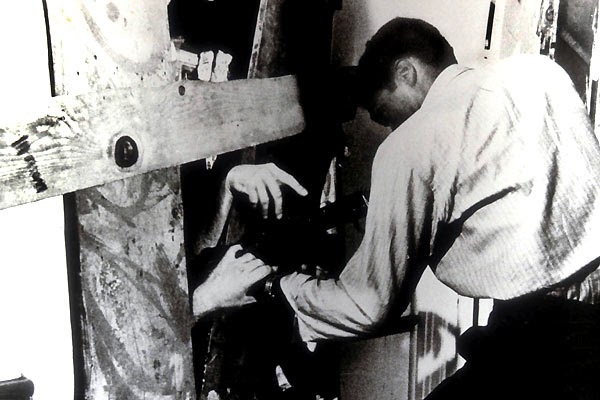 Night of the Living Dead (1968) George Romero's debut film didn't just invent the modern zombie movie -- for which he should be both praised and damned -- but also changed the face of the horror movie (for more on this theory, read Lint Hatcher and Rod Bennett's brilliant essay "Monster Fan 2000"). Made for just over $100,000, this would be the most successful independent movie of all time had the copyright not gotten fucked up and Romero essentially robbed of the film's earnings. So much of what we would see from the director over the course of his career is on display in Night, from his atypical casting to his progressive social commentary to his low-fi aesthetic to his unrelenting cynicism. It's his first Great Movie, but not his last. 2. Season of the Witch (1973) Romero's third film tells the story of a suburban housewife (Jan White) who gets involved with witchcraft. Though deeply flawed and crudely dated, Season of the Witch (also known as Hungry Wives) is interesting as a study in Romero's social progressivism. He has always been a feminist filmmaker, but with its concerns about the oppressed housewife attempting to find some agency in the "man's world" of the early '70s, Season of the Witch might be Romero's most feminist work. The movie was released in the same year as The Crazies, which is a more consistent -- and possibly better -- movie, but too much like Romero's zombie films to stand out in his filmography the way this one does. Over 40 minutes were cut out of the director's original version; a restored 103 minute cut made its way to DVD, but that's still a half hour shy of the director's 130 minute version. 3. Martin (1978) Having covered zombies and "witches," Romero turned his attention to vampires with this eccentric horror comedy about a guy who thinks he might be a bloodsucker. Originally intended to run over two and a half hours and entirely in black and white, the film was heavily edited and partially changed back to color for its theatrical release. Written by Romero, made on existing locations for less than $100,000, it's a completely unique take not just on the vampire genre but as an approach to the horror movie -- it feels like nothing else I can think of. This was also his first time working with makeup effects genius Tom Savini, beginning a long and fruitful relationship that spawned what are still the best gore scenes ever. Romero has said that this is his favorite of all his movies. Can you believe he released both this and Dawn of the Dead in the same year? 4. Dawn of the Dead (1978) Thousands of words have already been written about this one, so I won't say too much about it here. I've already called it one of the best zombie movies ever made, one of my favorite horror movies and just one of my all time favorite movies period. Dawn of the Dead sees the small-scale, documentary-like aesthetic of Night and raises it to a big, splashy comic book action movie. Brutal social satire and groundbreaking gore effects courtesy of Tom Savini are a big part of what makes this movie a classic, but it's the smaller moments that make me love it. It has the look and feel of an epic despite its focus on only four characters. People not able to look past some of the blue zombie makeup or orange blood (I'm looking at you, Doug) are missing out on a true masterpiece. Plenty of people might argue that Night is better, but Dawn of the Dead is easily Romero's best movie for me. 5. 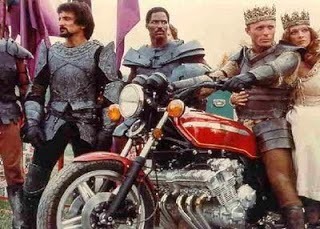 Knightriders (1981) I love Romero's zombie movies, but recent viewings of some of his non-zombie films makes me sad he didn't get to make more. The film, about a renaissance fair troupe struggling to keep it together, feels completely different for Romero in its tone and execution, yet like his zombie films is still very much concerned with how small groups function when tested. As a fan of his, this one would be great just for the cast, which is sort of a reunion of Romero players including Ed Harris and Warner Shook from Creepshow, John Amplas from Martin, Scott Reiniger and Ken Foree from Dawn of the Dead, Tom Savini from everything, Patricia Tallman from Night of the Living Dead 1990 (written by Romero and directed by Savini), Taso Stavrakis from Dawn and Day -- even Stephen King, with whom Romero would collaborate several times, has a cameo. Knightriders can be read as a movie about Romero's status as an independent filmmaker: a guy who surrounds himself with his makeshift family (the Romero regulars in the cast) who band together and overcome obstacles to "put on a show" for the love of doing it. And though he was once incredibly progressive, Romero now feels a little like Ed Harris's Billy -- a guy stuck out of time afraid of selling out and who's still trying to lead a way of life (or make a type of movie) despite having neither the support nor the financial means to do so. It's a beautiful film, and probably my favorite of his behind Dawn. 6. Creepshow (1982) Romero's most commercial studio film is still his most fun, suggesting that he knows how to lighten up and make pure popcorn entertainment when not bleakly predicting the end of humanity in movie after movie. A tribute to the great horror comics of the 1950s scripted by Stephen King (their first official collaboration), Creepshow remains one of my favorite horror anthologies of all time -- a colorful, cartoonish blast of a monster movie. It's a side of Romero that we too seldom got to see. 7. Day of the Dead (1985) The last of Romero's original zombie trilogy (and his favorite of the series) is the one that has aged the best -- which isn't to say that it has surpassed the previous two films, only that it's better now than it was when it was released. Originally written to be a massive apocalyptic epic, Romero was forced to cut way back to keep the budget down so he could still put the movie out Unrated. The result is something that feels claustrophobic and nightmarish, with a team of scientists and the military forced into underground bunkers while the undead freely roam the streets. The pitch of some performances is a little bracing (coughJoePilatocough), but Romero continues to explore life after civilization in a way that's fascinating -- and, more importantly, feels very real. Almost 30 years later, Day of the Dead still boasts the best gore effects in any movie ever. 8. 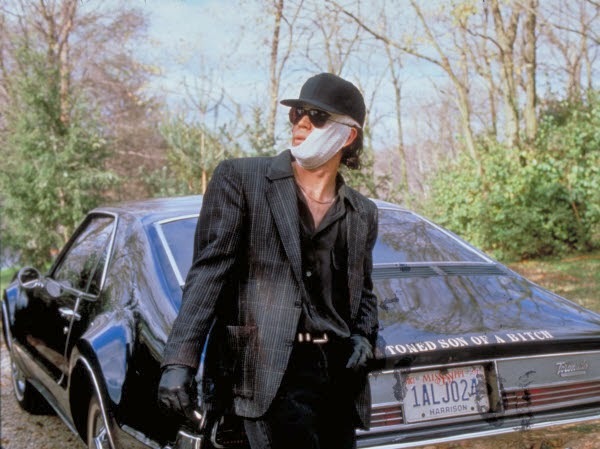 The Dark Half (1993) By the 1990s, Romero's career had already experienced a drop off. He had directed only one feature since Day of the Dead in '85 -- 1988's Monkey Shines -- plus contributed to films like Two Evil Eyes (he directed half, Dario Argento directed half), Tales from the Darkside: The Movie (screenplay) and Tom Savini's remake of Night of the Living Dead, which he wrote. Ever the independent, Romero struggled working for major studio Orion -- which, as luck would have it, began to fold in the early '90s, leading to a two year delay in getting The Dark Half released. There is little trace of Romero's usual low-budget crudeness, as The Dark Half is slick and beautiful and full of great atmosphere, but it's a movie that falls apart as it continues and eventually gives way to total nonsense. This one is far from being one of Romero's best, but worth viewing both as another collaboration with Stephen King (it's based on his novel) and as one of the director's few attempts at making a truly commercial horror movie. 9. 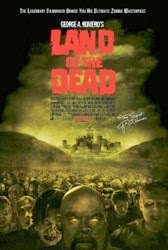 Land of the Dead (2005) Romero returned to the zombie genre after 20 years away and kicked off his second trilogy with this, a mid-budget ($15 million, but it feels like more), large-scale studio movie with a wide release and actual stars in the roles. Using elements from his original epic Day of the Dead screenplay, Land of the Dead has a GREAT concept (the wealthy class is able to "ignore the problem," living above the city while everyone else contends with the zombie apocalypse on the ground) but only a so-so execution. Working with a major studio meant that Romero's hands were tied more than usual; he wasn't allowed to cast a black actor in the lead as intended and instead wound up with wet pancake Simon Baker, and the contractually required R-rating (the first in his Dead series) meant Romero had to edit out or digitally obscure much of the gore, which was later restored on DVD. Romero's return to the zombie genre was such cause for celebration that we all wanted the movie to be better than it is. Plus, its intentions are so good and there are so many great ideas at work that I'm willing to overlook certain aspects of the writing and the...uneven...performances. There's still a lot to like, but it's a mess. Still, of his second trilogy, this one is easily the best. 10. Survival of the Dead (2009) Like a lot of once-great horror directors, Romero's late-period output is worth seeing not for its quality but to understand just how a lot of filmmakers seem to lose it over time. Maybe it's because the business limits genre filmmakers and allows them to only do one thing, meaning Romero can only get financing to make zombie movies. Those constraints are obvious here, as it's clear Romero wants to make a western but has to include the undead so the title can sell. Limitations or no, this is Romero's worst film. From the writing to the acting to even the gore effects now "enhanced" by computers, Survival (like the abysmal found footage effort Diary of the Dead before it) feels like a bad imitation of what Romero once did so brilliantly. We're unlikely to see many more new George Romero movies, meaning Survival could end up being his last. I love George Romero as well. I remember him once telling me at a convention that he has spent a good chunk of his life searching for the original 3 hour cut of Martin as well, because he wants people to judge the film by that version. After Brusier, which is one film of his that I dislike, it took him years to get Land of the Dead off the ground. For a long time the film was to be called Dead Reckoning and no one would give Romero the money to do it. It became rather sad actually. Every year at the conventions, it was slightly depressing to be in Romero's company because he would always talk about near misses with his current career. However, once the Resident Evil series, and 28 Days Later came out, Romero finally got the money. Ironic since Romero penned the first (and rejected) draft of the Resident Evil film. But after Land made money, the only budgets Romero could secure were for zombie films and since he wanted to escape the seemingly never ending dry spell, he agreed because he wanted to make different types of films--but he now had to put zombies in them--so you are correct in your assessment, Patrick. When you see the documentary made about Dawn of the Dead called Document of the Dead, you see how he was the Robert Rodriguez for his time. Making films on his own terms, for a small budget so he could stay fiercely independent. Romero is a super nice guy and I really hope he is able to make one more great film, regardless of its subject matter. Romero's career makes me sad sometimes, because he's better than the opportunities he gets. I watched an interview with him on the Knightriders Blu-ray in which he admits he may have shot himself in the foot by being overly "principled." There are so many parallels between him and the Ed Harris character in that movie. He's like the Harold Ramis of the horror world for me. Not only do I love so many of his movies, I just love him. I want him to be my uncle or something. Just a smart, sweet, warm guy -- which is amazing considering how dark and cynical so many of his films are. During the last scary movie month (the next one is only 6.5 months away!) I watched all 6 of the Dead movies and it was sad to see how sharply they decline from amazing to awful - I kinda like Land of the Dead but after those first three arguably keep getting better, I just wished he had stopped there. It seems like a career as a great horror director is very difficult to sustain - Romero, Carpenter, Craven - legends and deservedly so, but after a handful of truly great movies they fizzled. I wonder if that's more a product of the art/genre or the industry?